Overview: No need to experience the pain and hardship to get the riches found only in the rainforests! 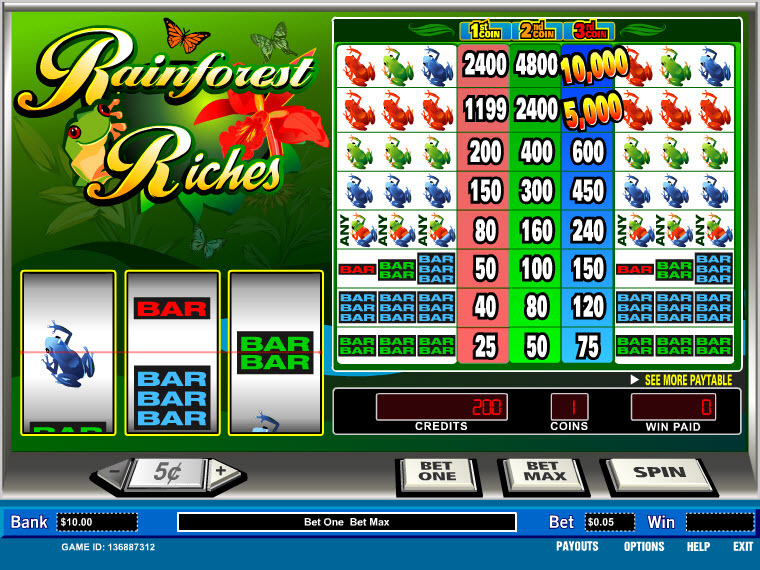 Just spin the reels on the Rainforest Riches online slot game and have them all. Right on your computer. Similar Slots: If you like Rainforest Riches, you might like these other slot machines from Parlay: 7's Ablaze, Diamond Surprise, Double Diamond, Hollywood Reels, Living Large, Lucky 7s.